Pendle Sculpture Trail, in Aitken Wood, has ten ceramic plaques, which represent each of the Pendle people who were hanged in the witchcraft trial. There is also artwork from Philippe Handford, including tumbling tree arches, plus a life size Witchfinder General figure and creatures such as bats and a spider. 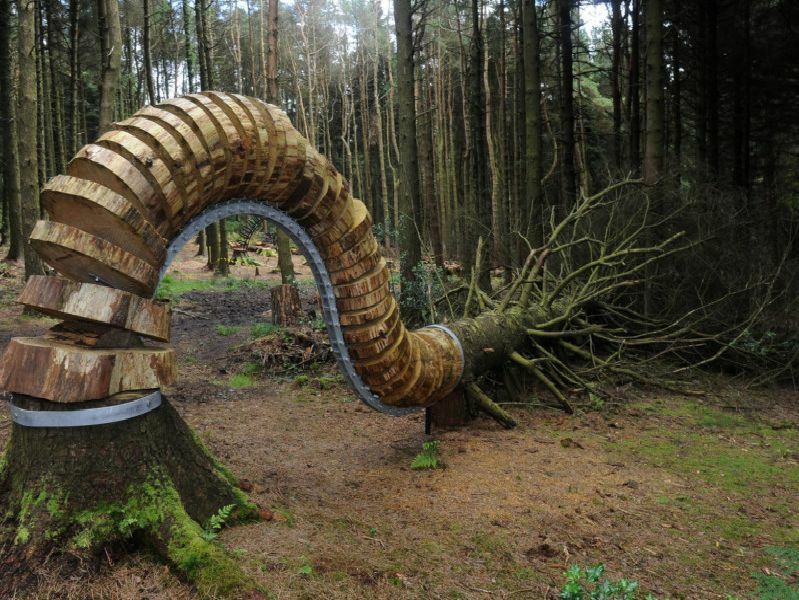 Ribble Valley Sculpture Trail includes more than 20 permanent works of art. The trail travels through Brungerley Park and Cross Hill Quarry, as well as woodland and flower rich grassland and includes views over the Forest of Bowland. The 5.5 mile Tolkien Trail explores the Ribble Valley which inspired the Lord of the Rings author. 'It starts and finishes at Shireburn Arms, Hurst Green, and includes Stoneyhurst College, Cromwells Bridge, Shire Lane and River Shirebourn.